Hard times come for Mohamed Salah? Mohamed Salah was phenomenal last season for Liverpool. He and was a driving force for his club’s success in the Champions League and for the Reds top 4 finish in the Premier League. While discussing the Salah’s future at the end of the last season, many commentators have mentioned that he would be up with the best only if he manages to keep his form for few more seasons. I wasn’t hard to predict that the talented Egyptian might not be able to keep the same form at the start of 2018/19 season. Salah’s struggle to find his form? Mohamed Salah’s mistakes would have cost Liverpool in their Champions League home game against Paris Saint-Germain (PSG). The Red have controlled the tempo for most of the 90 minutes and restricted one of the most dangerous attacks in football – Neymar, Cavani and Mbappe only to few chances. However, the Liverpool top scorer and PFA of the year Mohamed Salah hasn’t enjoyed the best 90 minutes in his Liverpool career. The PSG’s defenders were all around him and left him with virtually no space where he could play with the ball, dribble, pass or shoot. The Egyptian striker has been forced to go back to get the ball and on few occasions in the second half he made mistakes which are hard to understand when they come from a player at his level. Mo Salah’s wrong pass in the 83rd minute, when the Liverpool have just won the ball and went forward, allowed Neymar to get the ball and enter into the Red penalty area, where Liverpool defence blocked him, but the ball went into Mbappe and he scored to equalize. This was a second failure in just 15 minutes when Sarah surrendered possessions to PSG due to making a poor passing decision and on both occasions PSG managed to organize a dangerous attacks. The second one resulted in an the 2:2 equalizer. Mo Salah has been working hard and has been playing for his team mates, but still he has scored only 2 goals in 6 games this season. To be fair to the Egyptian, he has showed some sparks of brilliant during the Liverpool’s home game against PSG. In the 10th minute of the first half for example he made a dangerous shot directly from the corner and could have even scored a phenomenal goal. He was also at the right place to find the net after Sturridge’s tackle on PGS’s goalkeeper, but unfortunately for the Egyptian and the Reds, the goals was disallowed. Mohamed Salah was substituted on a few occasions in the Premier League by Jurgen Klopp. If he doesn’t improve within the next month he would start receiving criticism as everyone would be comparing his current game to the last season performances. 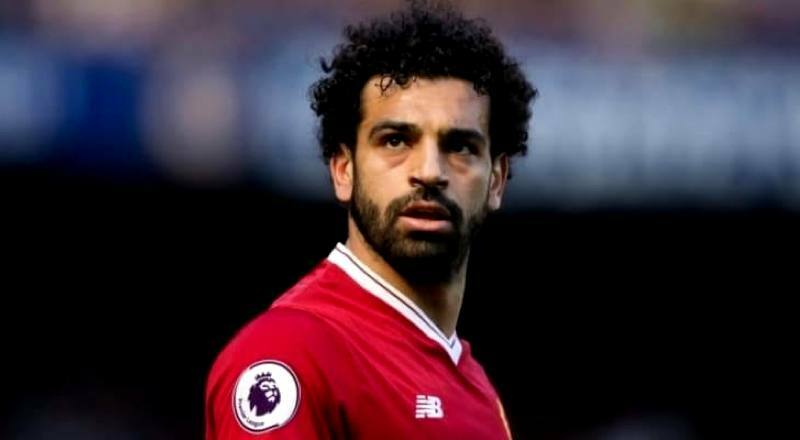 Luckily for the Egyptian Liverpool sit at the top of the table and he will have a lot of chances to shine both in the Premier League and in the Champions League to prove his importance for this Liverpool squad. However, Liverpool cannon allow themselves to make mistakes in the Champions League, however. The lack of concentration in the Mo Salah’s game is a bit worrying for them. Roberto Firmino hasn’t scored a brilliant goal in the stoppage time against PSG to make it 3:2 and keep all the points at Anfield. If he didn’t and Liverpool allowed PSG to draw the game after getting back into the game from 2:0, many would have put Salah under criticism for hist mistakes and his current form.